Charging Service　NEED INFORMATION？　COME TO "Tokyo City i"
You can charge smart phones for 100 yen per 30 minutes. We placed the mobile charging station. 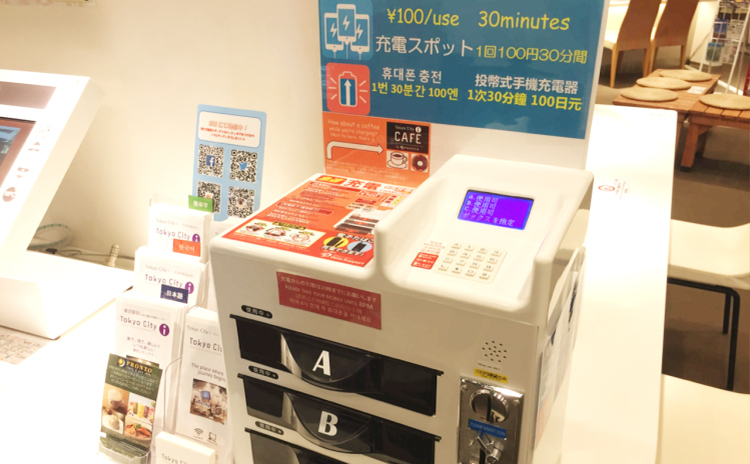 It costs 100 yen per 30 minutes and you can charge other electronic devices such as iPad and E-cigarettes as well. * Please kindly note that some models are not supported. * Please remove your devices before 8pm.